Television screen shot of Chinese lawyer Zhou Shifeng being escorted by police officers to Tianjin No.2 Intermediate People’s Court in Tianjin, Aug. 4, 2016. 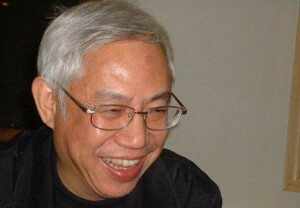 Authorities in the northern Chinese city of Tianjin have reportedly released on bail a prominent human rights lawyer, while rights groups say the subversion trials of several others could begin soon. 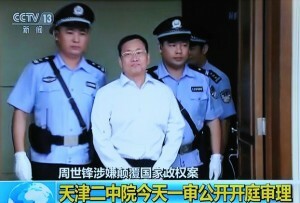 Wang Yu, whose July 9, 2015 detention marked the start of a nationwide police operation targeting rights lawyers, law firm employees, and rights activists, was released on bail after making a televised “confession” on Phoenix TV, which has links to the ruling Chinese Communist Party, media reports said. The detentions of Wang, her husband Bao Longjun, and their colleagues at the Beijing Fengrui Law Firm later widened to include the detention and interrogation of more than 300 lawyers, paralegals, law firm employees, and rights activists. 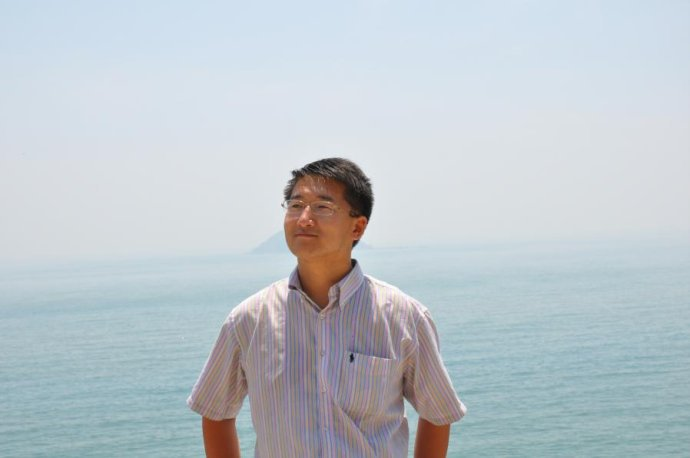 Bao, Zhou, and 12 others are now under formal arrest on subversion-related charges, many of them in police-run detention centers in the northern city of Tianjin, where they have been denied access to their own lawyers. 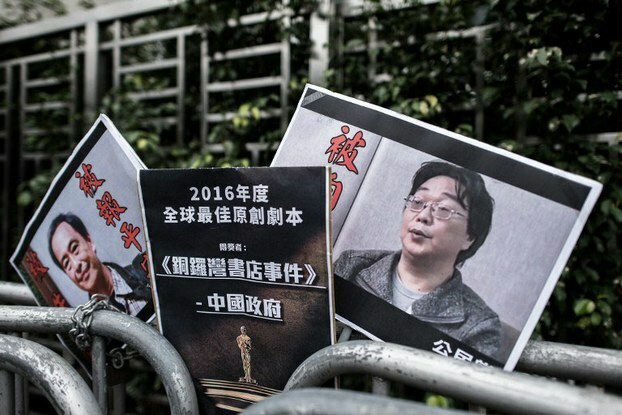 Wang’s bail comes after she reportedly confessed to “subversion of state power,” Hong Kong’s Oriental Daily News reported on Monday. “I received humane treatment, and experienced China’s rule-of-law culture,” she told Phoenix in an interview at an unknown location. But Henan-based rights lawyer Ma Lianshun said Wang’s confession seemed heavily scripted. 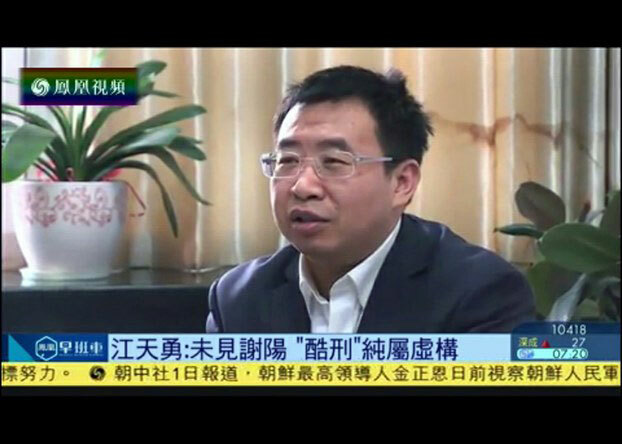 Beijing rights lawyer Li Fangping said the televised confession is now a regular occurrence in criminal cases where the government is trying to manipulate public opinion in its favor. “The purpose of the so-called CCTV confession has never been to support charges, but to smear people and to manipulate public opinion,” Li said. 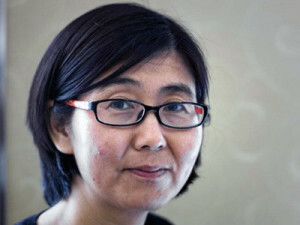 Veteran journalist Gao Yu also made a televised “confession” before eventually being released on medical grounds. She later retracted it, saying the authorities had made threats against her son. Wang’s teenage son Bao Zhuoxuan was detained last October in Myanmar as he tried to flee China after police confiscated his passport. Two activists who tried to help Bao flee China through Myanmar after his parents’ arrest were handed over to Chinese police by the authorities in Shan State, and now face people-smuggling charges. Wang’s bail follows the “release” on bail last month of legal assistant Zhao Wei, who is being held in an unknown location, possibly alongside members of her extended family. Her husband has been unable to find her, and her lawyer Ren Quanniu has himself been detained. Meanwhile, Wang’s former boss at Fengrui, Zhou Shifeng, looks set to face trial soon on subversion charges alongside Hu Shigen, Gou Hongguo, and Zhai Yanmin, an overseas rights group reported. The four, who have been held incommunicado since their detention, could face imminent trial at the Tianjin No. 2 Intermediate People’s Court on charges of “subversion of state power,” the Chinese Human Rights Defenders (CHRD) network reported. “The trials may begin as soon as Monday, August 1, according to unconfirmed information,” the group, which compiles reports from rights activists inside China, said in a statement on its website. It said the authorities hadn’t notified the detainees’ families or lawyers, however. “Several family members were briefly detained by police on Friday and two people disappeared on Sunday night as they tried to confirm with the court where and when the trials would take place,” CHRD said. Under Chinese criminal procedural law, the authorities must notify lawyers and families at least three days before holding a trial. Reported by Yang Fan for RFA’s Mandarin Service, and by Wong Lok-to for the Cantonese Service. Translated and written in English by Luisetta Mudie.